Wine lovers unite! It’s time to explore the wide and wonderful world of New Zealand wine. Whether you’re a red or a white drinker, you just love them all or don’t know the first thing about wine, New Zealand’s vibrant and accessible wine producers offer something special for everyone, from experts to first-timers. With stunning wineries to explore all around the country, there’s no better way to begin your NZ wine journey than by creating your dream wine tour itinerary. Let’s get started! One of many good reasons to take a trip to the amazing island of Waiheke, Mudbrick is a world-renowned vineyard famous for its incredible seaside setting, French-styled gardens and restaurant. A short journey by boat from Auckland, Waiheke island feels a world away from the hustle and bustle of the big city – say goodbye to traffic and noise, and hello to sandy beaches, amazing vineyards and pure tranquillity! The wine offering at Mudbrick runs the whole gamut, from aromatic whites such as Pinot Gris and Gewürztraminer, through sparkling and Rosé to Pinot Noir and onto more full-bodied reds such as Syrah, all the way up to their flagship offering: Velvet – named for its silky mouthfeel. Shining bright in the shadow of the Te Mata Peak, Craggy Range is an icon of one of New Zealand’s premier wine regions: Hawke’s Bay. The business is family owned and the twin wineries, Gimblett Gravels and Giants Winery, operate with a focus on sustainability and quality. Grapes are sourced from Hawke’s Bay, Martinborough and Marlborough, resulting in a range of wines that express the best of the NZ’s diverse growing regions. The award-winning restaurant matches Craggy Range wines to a menu crafted from local produce – some of the best in the country. There’s even a range of luxury lodges, cottages and suites to choose from at the Giants Winery for visitors looking to take their foot off the gas and stay overnight. Journey to the heart of Central Otago, the world’s southernmost wine region, and home of New Zealand’s most famous Pinot Noir. The hot, dry summers and crisp winters make the region perfectly suited to producing Pinot Noir that’s intensely rich with fruit flavour and depth. The area is dense with top quality vineyards, and at the heart of them all is Gibbston Valley, ideally located just 25 minutes from central Queenstown. 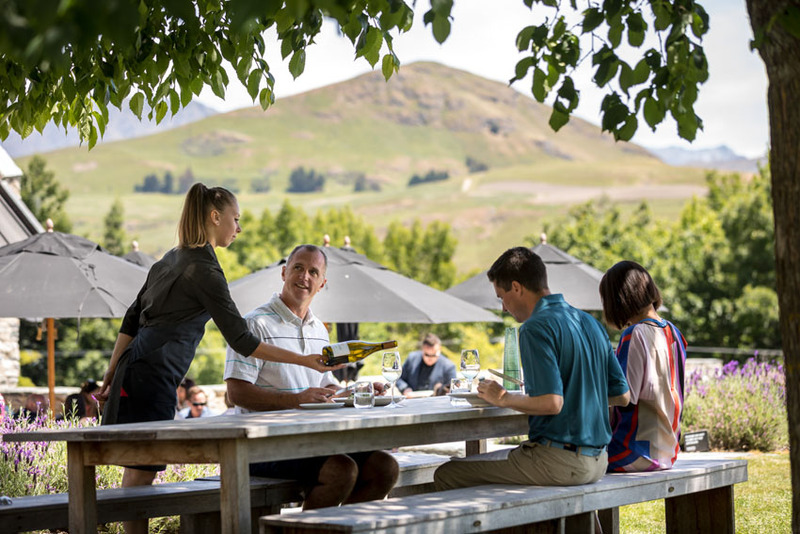 Gibbston Valley offer plenty more than just tastings, with tours through the huge wine cave, cycle hire and summer concerts all adding to the buzz. 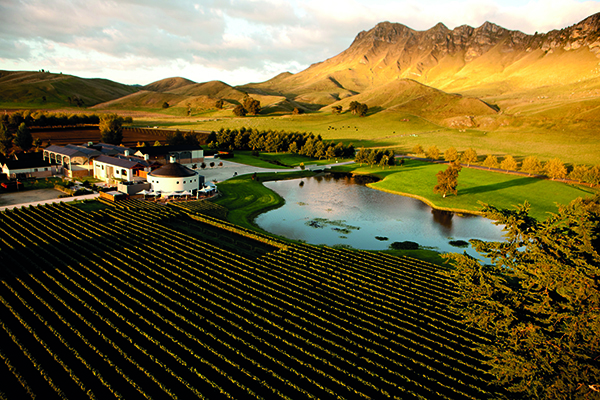 Founded by French pioneers in 1851, Mission Estate is New Zealand’s oldest winery. The Taradale Hills site has been perfectly maintained and the historic central building lovingly restored to provide an experience that blends heritage with natural beauty. You’ll get sweeping views of the grounds, across the vines, and over the art deco city of Napier while sipping wines from a seriously impressive portfolio – there’s something for everyone, but lovers of big, bold reds might feel especially at home. Home of Marlborough’s first Sauvignon Blanc plantings, Brancott Estate built their reputation on making some of the best examples of the wine that the region is now famous for. The range of Sauvignon Blanc now includes naturally low alcohol, sparkling, organic and vegan varieties, and that’s without even touching on the many other varieties on offer! A tour de force of white wine, plus high quality food pairings in the restaurant. Rippon comes with a view down Lake Wanaka that you’ll never forget, and Pinot Noir to match. It’s easy to see why it’s one of the South Island’s most sought after wedding locations, as winter brings out the magic of the snow-capped surrounding mountains, while the lake sparkles brightest in the summer months, making it a must-see at any time of year. Wanaka’s slightly more temperate climate yields wines that celebrate the unique micro climates of the region. Compared to other Central Otago vineyards, Rippon’s wines reveal a different side of Pinot Noir than others made in the nearby Gibbston Valley. A jewel in North Canterbury’s young Waipara Valley region, Pegasus Bay is styled with European influence; the extensive grounds include beautifully manicured flowerbeds, a natural amphitheatre, and contemporary sculptures from local artists. Inside, special bottles from years gone by line the walls and regularly changing sculptures and artworks adorn the dining room. The menu reflects Pegasus Bay’s focus on local produce and ethos of simplicity. Each dish is created to match a wine from the list, resulting in a perfectly balanced dining experience. New Zealand wine became world-famous largely thanks to just a couple of varieties, but there’s more, much more, to wine in NZ than just Pinot Noir and Sauvignon Blanc. Today, you’ll still find the highest quality in Pinot and Sauvignon, but also an exciting world of lesser known wines to explore. Varied weather patterns, localised micro climates, unique geology and a diverse range of passionate growers and producers ensure that there’s something for everyone, no matter what your tastes. Here’s the lowdown on the wine styles of New Zealand. The wine that put NZ on the global winemaking map, characterised by intensely bright citrus and tropical fruit tones. Most famously grown in Marlborough, but as the most planted variety in NZ, you can find unique expressions up and down the country. Great to match with salads, cheese platters or seafood. More lightly oaked than in French expressions, NZ Chardonnay still provides that famous buttery mouthfeel and rich fruit that lovers of Chardonnay desire. North Island Chardonnays such as from the Hawke’s Bay are typically fuller, while cooler South Island regions produce more acidic, light flavours. Poultry dishes and fruity desserts pair perfectly. Perhaps the most famous of the aromatic whites, Riesling has a long heritage in New Zealand. 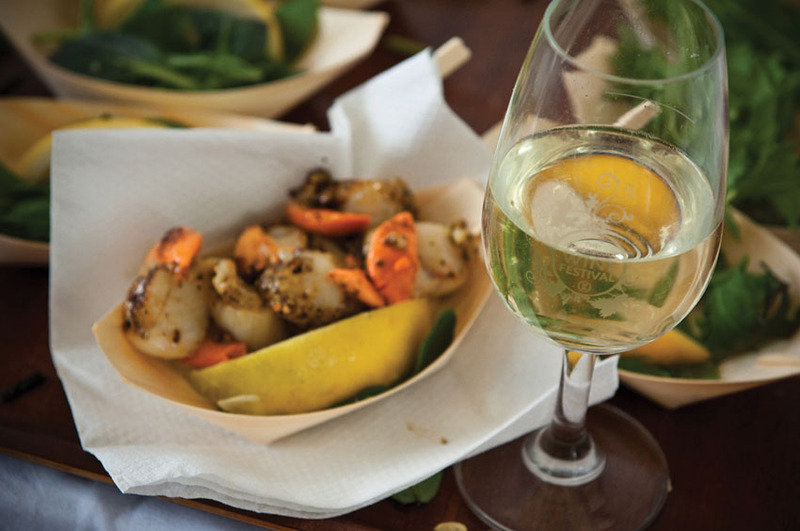 A favourite variety of South Island producers in the Waipara and Central Otago regions, Riesling’s dry finish make it a great match for poultry, seafood and sweeter dishes. Vibrant, bright and refreshing, Pinot Gris is firmly on the rise in NZ. The coastal climates found all around the country are favourable for growers, meaning Pinot Gris production is widespread. More mouthfeel than Sauvignon Blanc, while retaining some of the explosive and fruit driven nature that make Sauvignon so widely loved. Matches well to Italian cuisine, pork and seafood. Fragrance in abundance, a smooth and delicate wine which matches well to Asian cuisine. Kiwi sparkling wines use classic Champagne grapes and traditional methods to produce sparkling wines that provide familiarity while expressing the brighter characteristics of NZ white wine. Producers up and down the country offer sparkling varieties, with the North Island wines typically richer in flavour, while South Island sparkling is lighter and full of refreshing tang and citrus. Matches well to parties! NZ’s flagship and most-produced red wine, it thrives in the cooler climate of the South Island regions such as Central Otago, but North Island growers located in the Wairarapa region also produce some fine examples. A wine laden with powerful dark fruit flavours, it’s great with red meat, poultry, or anything savoury! Bold and often blended, Merlot growers can be found in the North Island in the Hawke’s Bay and smaller regions surrounding Auckland. A big wine that matches well to winter fare and strong cheeses. A wine with many faces, Syrah is bright yet stacked with depth of flavour. Hawke’s Bay is the most prominent producer of Syrah in NZ, but growers are widespread throughout the North Island all the way up to Waiheke. Full bodied and spicy, it’s perfect with meats of all kinds and spicy or tangy dishes. A complex and intense red wine that rewards smart food matching. Have it with red meats, game or rich pasta dishes. Predominately grown in Hawke’s Bay and regions reaching further North. A delicate and aromatic wine with a pink hue, Rosé is a perennial favourite in the warmer months with Kiwis. Most larger producers offer a Rosé, and there’s a growing trend towards more variety in skin-contact and orange wines, meaning there’s plenty for the adventurous drinker to explore outside of the usuals! Just like the country itself, New Zealand’s wine regions are diverse! From the tip of the North Island to the bottom of the South Island, you can find winemakers big and small working away at their craft. Here’s a quick rundown of the major winemaking regions, and what you can expect to find there. Sunny and temperate climate, the North Island’s largest winemaking region is a favourite for bold reds like Syrah or Cabernet/Merlot blends. Warm & sunny, home to a diverse range of producers making great Chardonnay & aromatics. A cooler climate with high winds produces some of the North Island’s finest Pinot Noir and fantastic dessert wines. Large in size with diverse climates, Waiheke Island is best known for Syrah & Chardonnay, while areas surrounding Auckland produce bold Merlot and Cabernet blends. One of NZ’s warmest regions, with a climate verging on tropical, growing Pinot Gris and other aromatics. Warm climate home to small producers dotted amongst farmland, mostly Pinot Noir and aromatic whites. Warm with fertile volcanic soils, boutique producers with Pinot Noir, aromatics and Sauvignon Blanc. NZ’s largest winemaking region, with a sunny & dry climate. A global powerhouse of Sauvignon Blanc but steadily diversifying. Largest producer of NZ sparkling wine. Mountainous with hot, dry summers and COLD winters making for some of the best Pinot Noir found anywhere in the world. The region also produces fantastic aromatic whites and Chardonnay. Cool & dry, with a varied landscape ranging from the ocean to the Southern Alps meaning this emerging region produces some beautiful aromatics, Chardonnay and Pinot Noir. Coastal and sunny climate, boutique producers making a wide variety of wines. Similar climate to Central Otago but with a slightly different landscape, Pinot Noir and aromatic whites gaining in reputation rapidly. 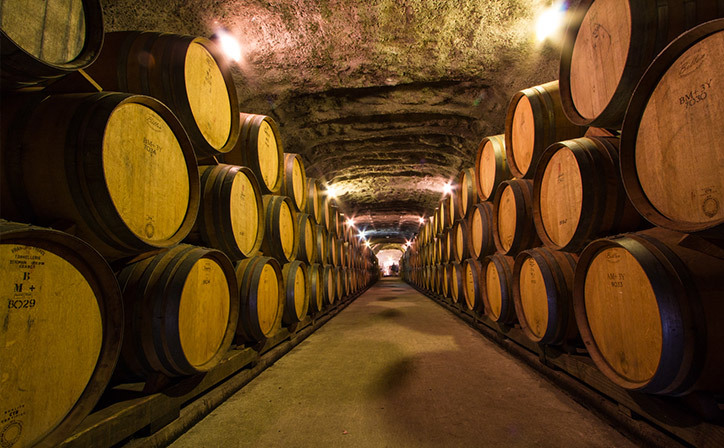 Ready for the wine adventure of a lifetime? 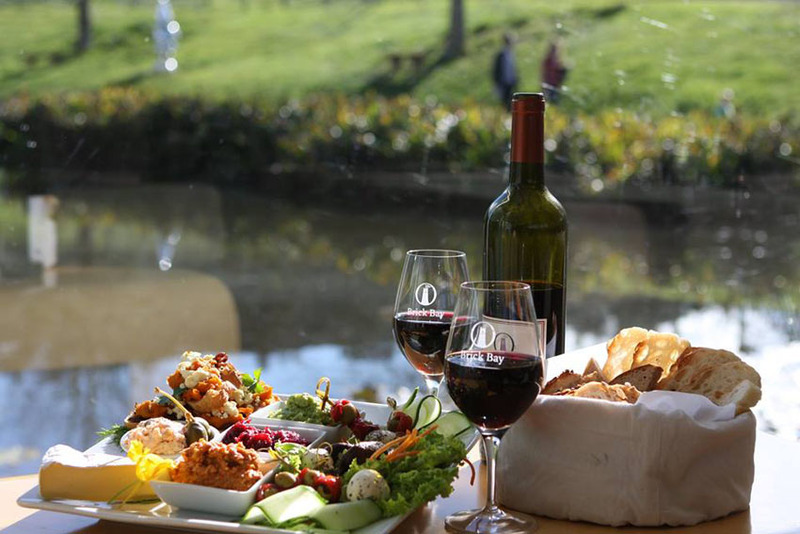 Explore our Wine Tours!